While celebrating the Fourth of July, why not take time for some thoughtful reading? Joel K. Bourne, Jr. The End of Plenty: The Race to Feed a Crowded World. WW Norton, 2015. The End of Plenty takes a thoroughly researched and exceptionally thoughtful and balanced look at the consequences of industrial farming. 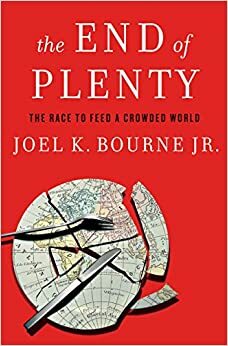 Joel Bourne’s courageous conclusion: to feed the world’s burgeoning population, agriculture must change and population increase must stop. 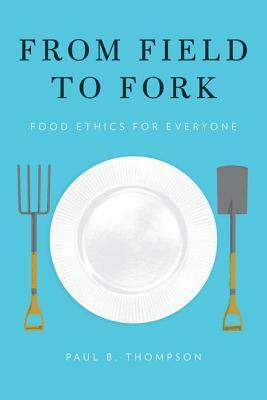 His book should convince every reader of the compelling need to address world food problems through more skillful and sustainable agronomy, but also through education, especially of women, and universal family planning. As noted in an earlier post, I was offline from from June 13-20 on a visit to Cuba with a Food First group visiting small organic farms, rural and urban. This was my third trip to Cuba. I came with other groups in 1990 and 1992 at the beginning of what Cubans refer to as the “Special Period,” the economic disaster caused by the collapse of the Soviet Union, the end of its support for the 1959 Castro revolution, and the U.S. embargo on trade with Cuba. The embargo also required countries that trade with the U.S. to stop trading with Cuba. For tourists like me, the lingering effects of the embargo are the travel restrictions, the failure of U.S. cell phones to work, and the scarce and slow Internet access. Hence: Offline. But change is imminent. I heard many Cubans mention December 17, the day of President Obama’s 2014 announcement of resumption of relations with Cuba, as if it ought to be celebrated as a national holiday. Our group traveled by charter flight from Miami. My first surprise: We were not alone: The Miami airport devotes two entire concourses exclusively to Cuban charter flights. As many as 20 flights every day are packed with people who have families in Cuba, business people, and tourists of one kind or another. Our group was interested in Cuban agriculture and food systems. This post deals with rural agricultural production. In subsequent posts, I’ll talk about urban farming and what the Cuban food scene looks like. The USDA provides useful background information and statistics on Cuban agriculture. The 2015 report has this interesting tidbit: US agricultural exports to Cuba rose from $139.2 million in 1956-58 to $365.3 million in 2012-14. This, however, does not break the embargo; it is classified as sales, not trade. The Cubans buy agricultural products from us, mostly frozen chicken for people, and soybeans and soybean meal for animal feed. We did not see much agriculture on this trip. There is plenty of land, but gas, transportation, and tractors are extremely limited. The highway between Havana and Pinar del Rio is well maintained but we saw few cars on it. Horse-drawn carts, yes; cars and trucks, no. And lots of land not in production. The reasons for this go beyond the embargo. We heard repeatedly that Cubans don’t like doing agricultural labor: the population is highly educated, is 80% urban, the climate is hot and humid, and Cuban culture does not value that kind of work. Much of Cuban food is imported. How much? Estimates range from 35% to 85% depending on whether whoever is doing the estimating is for or against the Cuban revolution. An official of the agriculture ministry told us that Cuba is self-sufficient or nearly so in eggs, mangos, sugar, and tobacco. I took this photo of mangos grown on the remarkable farm in Pinar del Rio established as a model for sustainability by Fernando Funes-Monzote. At present, food is grown in Cuba on large farms owned by the state or held by family-owned cooperatives of one kind or another, or on smaller farms that are owned by private individuals or families. Only 70% or so of arable land is in production. The state still has a million hectares to distribute, but has a hard time getting anyone to farm it. Most production is organic, but not by choice. The embargo makes agricultural inputs unavailable or prohibitively expensive. See, for example, Modern Farmer’s photo-essay on Cuban farming. Rice and potatoes, however, are not organically grown, and neither is most tobacco. We heard from farmers in the exceptionally beautiful Viñales region that tobacco is beginning to be grown organically. They are proud of their tobacco. It is used for high-quality cigars and is a major cash crop. The agricultural situation in Cuba, like much else about the country, is full of contradictions. F. Bailey Norwood, Pascal A. Oltenacu, Michelle S. Calvo-Lorenzo, and Sarah Lancaster. 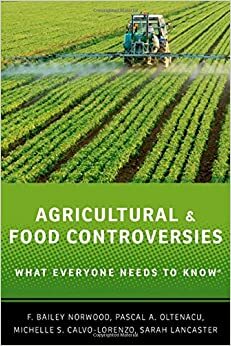 Agricultural & Food Controversies: What Everyone Needs to Know. Oxford University Press, 2015. But then they take on liberals. With this established, they take on issues such as pesticides, fertilizers, carbon footprints, GMOs, farm subsidies, local food, and animal welfare. Although the authors seem to be struggling to be fair to the positions of “liberal activists,” they tend to judge those positions as overly simplistic. In the view of this liberal activist (I prefer advocate, however), this book ends up reflecting the authors’ strong ties to—and defense of—industrial agricultural models. This is a good place to start to understand the non-liberal activist perspective. Throughout my travels in Italy the last couple of weeks, I was constantly asked for an assessment of the Milan Food Expo. My answer: it’s too early to tell. It’s only been open for two weeks and has lots more to do between now and the end of October. In my posts on the Expo, I’ve talked about the logistics and a few of the pavilions. But what about the overall content and take-home messages? Expos are trade fairs, but this one is about feeding the planet—adequately and sustainably. Most countries created exhibits based on these themes. Many displayed vegetable gardens in raised beds or, in the case of the US pavilion, on a long, undulating wall. It’s useful to start with the United Nations’ Zero Hunger Pavilion. Its gigantic ticker-tape display tells you the price of food commodities throughout the world in real time. The food sector: reality vs. abstraction. Extreme price volatility is a threat to food security. The gap between supply and demand is mainly caused by increasing food consumption, climate variability, expansion of agro-energy production, and financial speculation. Lack of transparency and profits for a few speculators intensify inequality in food distribution. New rules are needed for agricultural governance. Like most of the exhibits, this one states the problems and says what is needed to solve them. But it leaves it up to you to figure out how to set or obtain the new rules for agricultural governance. My view from this brief visit: The very existence of Milan Food Expo 2025 is a strong statement that food issues are worthy of serious public attention, worldwide. For that alone, it succeeds magnificently. I especially enjoyed the pavilion of Coldiretti, an association of Italian farmers. “No party” can—and is supposed to be—read two ways: no fun, or no political clout. The pavilion houses a farmers’ market promoting the products of its members. Coldiretti doesn’t have much use for GMOs, but for reasons we don’t often consider in the U.S.
What is good for the GMO multinational corporations is bad for Italy. Because they cancel our extraordinary diversity. Because they suffocate many to reward one. Because the seeds of the earth belong to those who work it. Whatever you think of such views, I’m hoping the Milan Food Expo will get visitors thinking about these food issues and more. The U.S. has a gorgeous pavilion framed by an undulating wall of vertical vegetables. Good, safe, healthy food for all! Write to Congress. File comments on the Dietary Guidelines. 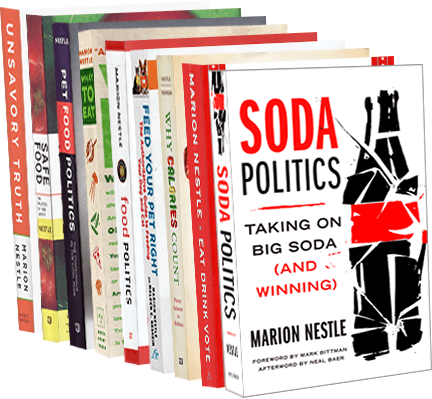 Everyone I speak to in Washington, DC says the same thing: if you want policies to change in favor of healthy food systems, you must contact members of Congress and say what you think they should do. If they get comments on issues, they listen. If they don’t, nothing will change. It’s not hard to send an e-mail or telephone your representatives. Thanks to Jerry Hagstrom, who writes the invaluable Hagstrom Report, for producing instant guides and contact information to members of the Senate and House agriculture committees. As for the contentious 2015 Dietary Guidelines: the comment period has been extended to May 8. The agencies make it easy to file comments. Do it here. The comments don’t need to be long or complicated. Just indicate identify yourself, state the topic you are concerned about, say what you’d like the guidelines to say, and if possible add a reference or two. Do this and you will be encouraging the agencies to do the right thing. Addition, April 14: Here’s a video explanation of how to file comments on the dietary guidelines.